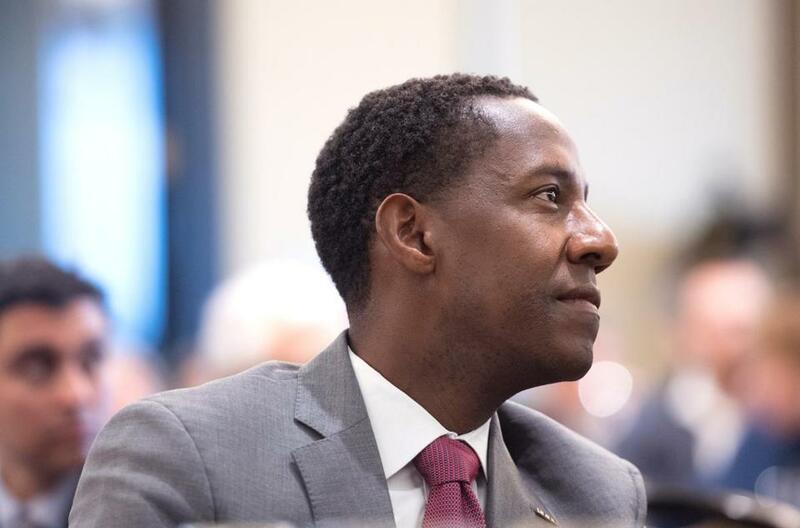 In a major jolt to the Democratic primary race for governor, former Newton mayor Setti Warren has abruptly ended his campaign, saying he faced insurmountable financial hurdles in trying to unseat Governor Charlie Baker. In an interview with the Globe on Wednesday, Warren said he would e-mail supporters Thursday morning explaining his decision to end the campaign. With only $51,644 in his account after a year of campaigning, Warren said that he did not have the resources to take on the popular Republican, who has a $7.9 million campaign account and consistently high standing in public polls. His unexpected departure from the race leaves just two Democrats vying for the nomination: Jay Gonzalez of Needham, administration and finance secretary in the Patrick administration; and environmental activist Robert Massie of Somerville, the Democratic nominee for lieutenant governor in 1994. The two will battle for the party’s endorsement at the June 2 convention, with the official Democratic nomination for the general election determined in the Sept. 4 primary. Warren said he made the difficult decision to close his campaign after meeting Wednesday morning with his two top advisers, former Democratic Party chairman John Walsh and his media aide, Kevin Franck, to review his prospects. Baker’s fund-raising has far outpaced that of his Democratic challengers, according to campaign financial reports filed every two weeks with the state Office of Campaign and Political Finance. In the first two weeks of April, for example, the governor raised $251,587. In the same period, Warren raised $16,034; Gonzalez raised $10,406, leaving his committee with a balance of $127,418; and Massie, who has loaned his campaign $70,000, raised $9,501, and now has a balance of $20,831. With Warren out of the race, the primary will now present a more defined contrast in styles. Gonzalez, a seasoned numbers-cruncher, has deep knowledge of state government, its health care policies, and its budget. Massie’s firebrand approach has stirred passions in progressive corners of the party that were drawn to former presidential candidate Senator Bernie Sanders. In either case, the eventual Democratic nominee will face several challenges in taking on the governor in November. Baker’s huge cash advantage is coupled with high favorable ratings — in polls, often nearly 70 percent say they approve of the job he’s doing — despite the fact that he is a Republican in one of the most Democratic states in the country. Surveys show he consistently tops the list of the nation’s most popular governors. Warren, who since leaving office in January had held a $70,000-a-year position teaching political science at the soon-to-be defunct Mount Ida College, said he would not endorse either of his opponents in the Democratic primary. Instead, he said, he will focus on closing his campaign, which has a staff of 10 and scores of volunteers. The 47-year-old Warren, after two-terms as mayor of Newton, campaigned on a platform that included advocacy for free college tuition, support of a ballot initiative to raise taxes on millionaires, construction of high-speed rail projects, and a single-payer health care system. An Iraq War veteran who served on John Kerry’s US Senate staff and his 2004 presidential campaign, Warren became the first African-American elected mayor of a Massachusetts city when he started in that role in 2010. His father, Joseph Warren, was a top education adviser to then-governor Michael Dukakis. By late Wednesday, Warren, in the interview, said he was still “running on adrenaline” after a year of crisscrossing the state, buttonholing convention delegates, courting Democratic activists, and begging for donations.